This is for you if you are looking for applications for video editing. If you have raw video recordings and need video editing software for your video files, this post is for you. Magix provides a wide range of Video editing software among other Audio editing software. Here is a list of all Magix Video Software. You will find a range of products with various functions and capabilities. In this post we’ll look at some of them. Read on below. If you are thinking of taking a vacation to the shore, a theme park, overseas, or someplace exotic. Then you’re probably going to want to film some of your tour. But instead of letting it wither-away on your DSLR, smartphone, or compact camera, a good video editing program will allow you to polish and share the footage professionally and with family and friends. And that’s what I bring you today, a list of best video editors from MAGIX for you to choose from. 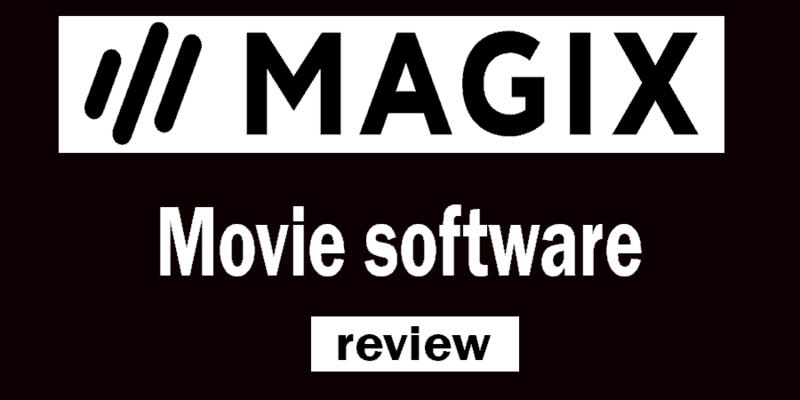 If you are a big fan of hollywood films then MAGIX Movie Edit Pro is for you. As with its sophisticated features, the Movie Edit Pro is the ultimate video editor for novice filmmakers, as it comes with amazing features such as slow motion, color explosions, stabilize shaky recordings, optimize colors, a massive collection of 1,500 special effects along with an easy-to-learn interface and great background music for you to add to your videos. Also it processes a variety of video formats including recordings from digital cameras, smartphones and even from modern camcorders with 10-bit HEVC recordings thus allowing you to give any of your video a Hollywood flair. These are full of extra features that can be enjoyed by both professionals and amateurs. These features includes Multicam editing for up to 4 cameras, 360° video editing, Smooth 4K proxy editing, iZotope RX Elements, NewBlue Elements Overlay etc. MAGIX Fastcut, an amazing editing package for amateurs on the Windows platform. It is an easy-to-learn but powerful app for anyone who wants to automatically Fastcut videos to match the beat of the music without having to fuss around with complex controls. Its inviting interface offers 9 Plus Edition Soundtracks, a soundtrack library with over 150 songs, Trim & rotate recordings and export in Full HD feature. There is a Free version and the Fastcut Plus edition. You can download and use the free edition and then upgrade to the plus version. Fastcut Plus Edition, comes with extra features such as Image stabilization, Lens correction, Slow motion effects, a highlight function etc. To help you turn your simple videos into exciting video clips with music. The great-granddaddy of video editing, MAGIX Video Pro X is the perfect video editing software that comes with the capability to tackle nearly any type of video format. MAGIX Video Pro X is ready to produce any type of powerful video production. With its practical and powerful tools for color grading, video editing, audio processing, authoring and effect design. Some of its prominent features includes multi-cam editing, 360 degree editing, Keyframe control, detailed color correction, Integrated audio cleaning, Real-time audio mixer, Broadcast-quality audio editing, Creative video effects, Professional object tracking. Also it supports a large number of formats and cameras making it perfect for both ambitious and professional users. MAGIX Video Easy offers a robust set of features such as support for 4K Ultra HD, an intuitive interface, Blur transitions, Backlight correction, H.264 support, 64-bit power, as well as a large library of High-quality templates. Specifically designed for beginners, with MAGIX Video Easy you can easily add amazing effects, background music, text, or your own commentary to your videos. Thus turning your footage into impressive videos to share with friends and family. Other Magix and Vegas Video Software are here. Here is a list of all Magix Video Software. Most of these video software have free trials, hence you can download any and check it out before you decide to purchase or upgrade .